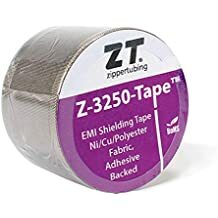 Z Flex Vnh - Pull Through Sleeving - Wire And Cable Bundling - Products - ZT | Zippertubing Co. The product retains its flexibility in low temperatures, is flame retardant, has excellent environmental and chemical properties. Z flex® (VNH) is available in many standard sizes to fit the most popular flat cable sizes ranging from 20 to 64 conductors. Z flex® (VNH) is an economical, heavy duty, pull-thru jacketing system for flat cables made from Zippertubing's type VNH-23. 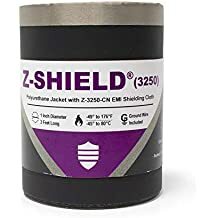 This configuration is ideal for inter-connection applications where mechanical protection is required and a sealed, flat, tubular jacket is desirable. Z flex® is supplied in reel form and is easily cut to any length required. A special "blue-line" nylon cloth leader inside the jacket is provided for fast, easy pull-through of the cable. Z flex® (VNH) is available in many standard sizes to fit the most popular flat cable sizes ranging from 20 to 64 conductors. Custom sizes and colors are also available. Refer to Zippertubing's VNH-23 data sheet below for specific material characteristics.